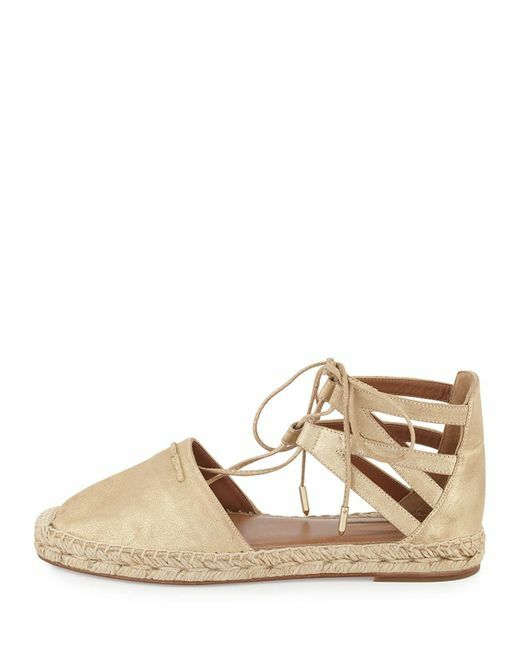 Slip on a pair of Aquazzura's Belgravia espadrilles for a touch of laid-back attitude. 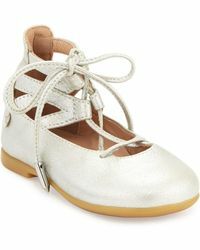 Crafted from suede with leather soles, this design is accented with a cut-out lace ankle wrap and jute-capped round toe. 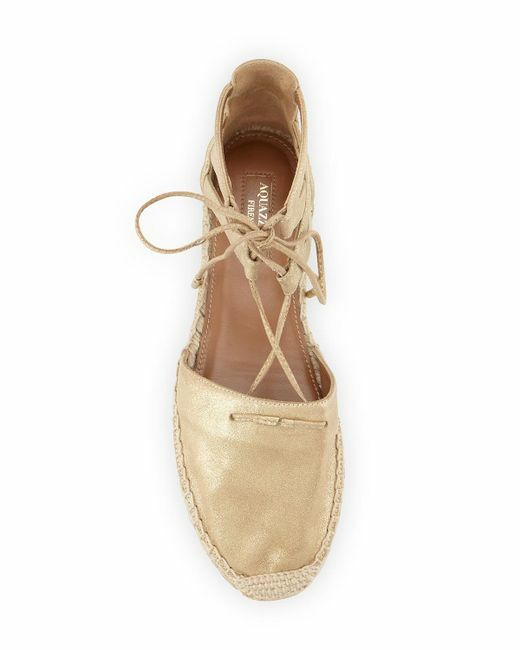 Providing a fresh take on a summer staple, this pair deserves a place in every vacation wardrobe.